This deck is really interesting, and has some really cool interactions in Vintage. When one pillar of the format is built around leveraging Mishra's Workshop to cast expensive spells, it makes sense that you might want to use Wastelands and Strip Mine and Life from the Loam to make that difficult. Similarly, when Young Pyromancer and Mentor of the Meek are win conditions of choice for Blue midrange decks, The Tabernacle at Pendrell Vale seems like a good place to be. You even have the Dark Depths combo to end games quickly without playing into opposing counterspells. On top of all of that, you get two huge pickups when you make the jump from Legacy to Vintage: Bazaar of Baghdad and Fastbond. So with all these potential edges, why haven’t we seen this strategy before? There are three big issues which need to be resolved. 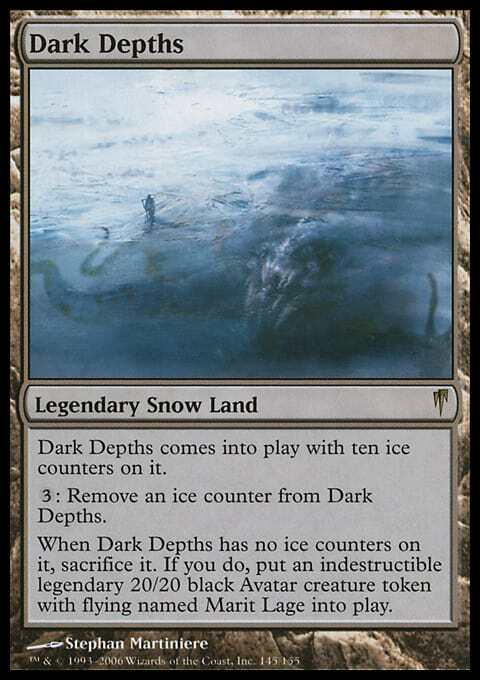 First, Dredge is a deck that people have to dedicate substantial sideboard slots to, which means that you have to be prepared to get hit by cards like Leyline of the Void and Ravenous Trap, which is a problem for Life from the Loam strategies. Second, your mana denial plan is much weaker in a format with a bunch of Moxen and other fast mana. Null Rods and Ancient Grudges help, but don’t completely resolve this issue. Thirdly, the problems that this archetype has with fast combo in Legacy are only more pronounced in Vintage. All in all, if you’re headed to a Vintage event and expecting largely fair decks or Workshops, this seems like a strategy that could catch people by surprise. The sideboard plan of Hollow One letting you sidestep graveyard hate is interesting, and the deck has a lot of interesting tools ranging from Punishing Fire to Sphere of Resistance. There’s a surprising amount of flexibility here, and I can’t wait to see if players can turn this shell into a real player in Vintage.